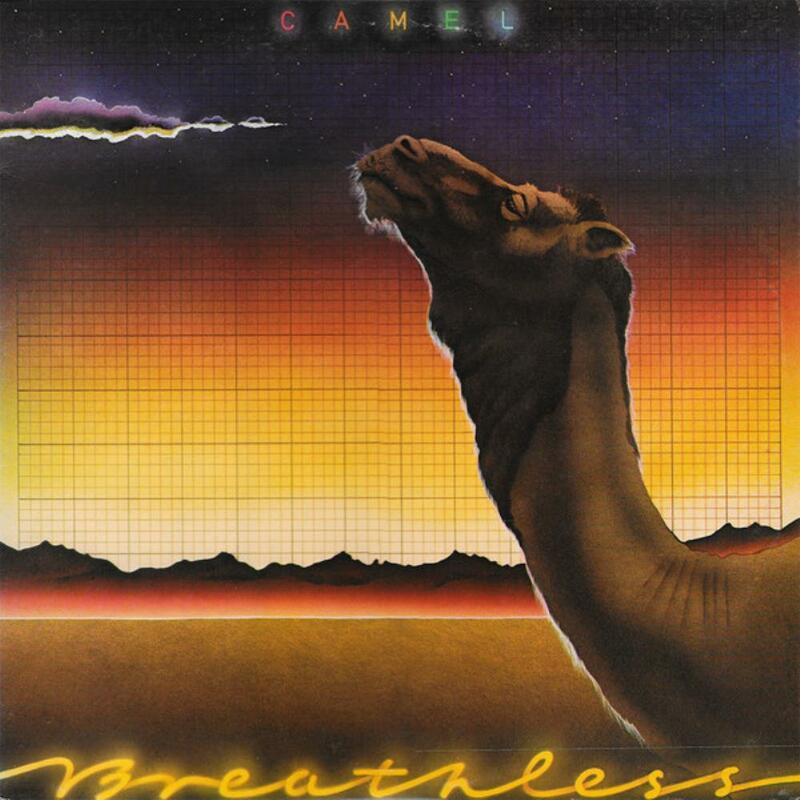 'Breathless' hails from 1978, a year where many (not all, though) excellent progressive bands toned down on complexity in favour of a more accessible, song oriented style. Camel followed this path on this effort. Opening with an easy-listening track, 'Breathless', it sounds more like 'Adult Contemporary' music than prog - it's pleasant, but not really characteristic of what one has come to know and love from this great band's earlier compositions. 'Echoes' is possibly the masterpiece of this release, with stunning instrumental displays all around, particularly Richard Sinclair's superb bass playing, and Pete Bardens' mini-moog runs. 'Wing and a Prayer' is a rather forgettable pop-song. Next we have the Sinclair-penned 'Down on the Farm', a quirky little tune that has more in common with his previous band Caravan, than Camel - it never fails to bring a smile to my face. 'Starlight Ride' is a pretty little song, with great flute and sax from Mel Collins, and some lovely Rhodes e-piano. Side 2 greets us with 'Summer Lightning', an up-tempo, almost danceable (eek!) tune with its 4/4 beats, but the excellent bass guitaring, atmospheric keyboard work and Andy Latimer's great lead-guitaring more than makes up for its lack. It is a track I find deserves more recognition. 'You Make Me Smile' is a *very* poppish tune, but features a nice mini- moog solo. 'The Sleeper' is a great 7 min. instrumental track, starting out in atmospheric fashion, giving way to some tricky rhythms and more stunning playing from Collins, Latimer and Bardens. I find the last song, 'Rainbow's End', to be a little dull, and along with 'Wing and a Prayer' culminate as the weakest moments on the album.